Our Favorite Foods to Eat in Japan - Viajeros. Amigos. 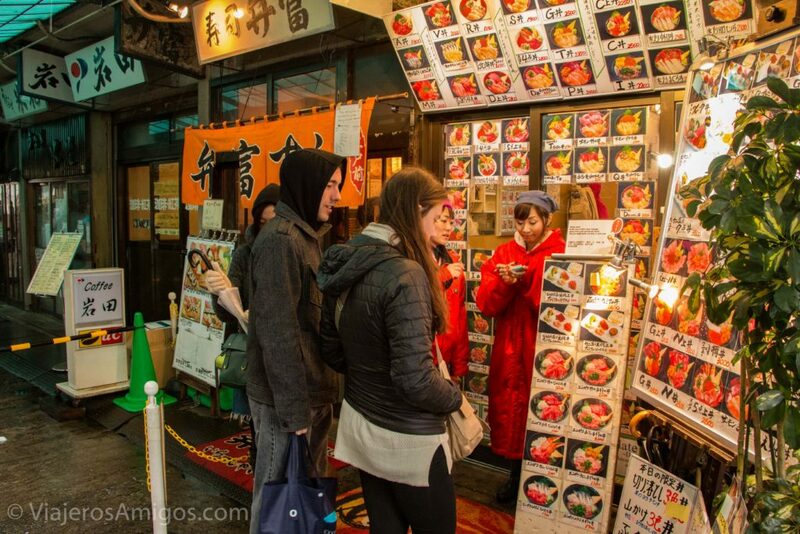 If you’re visiting Japan from a Western country for the first time, you might be surprised by the huge difference in the culinary offerings of Japan. We certainly were. Being a bottomless pit, I devoured so much food during this trip that it’s a wonder I actually lost weight while over there. If you’re looking for things to eat in Japan, look no further! 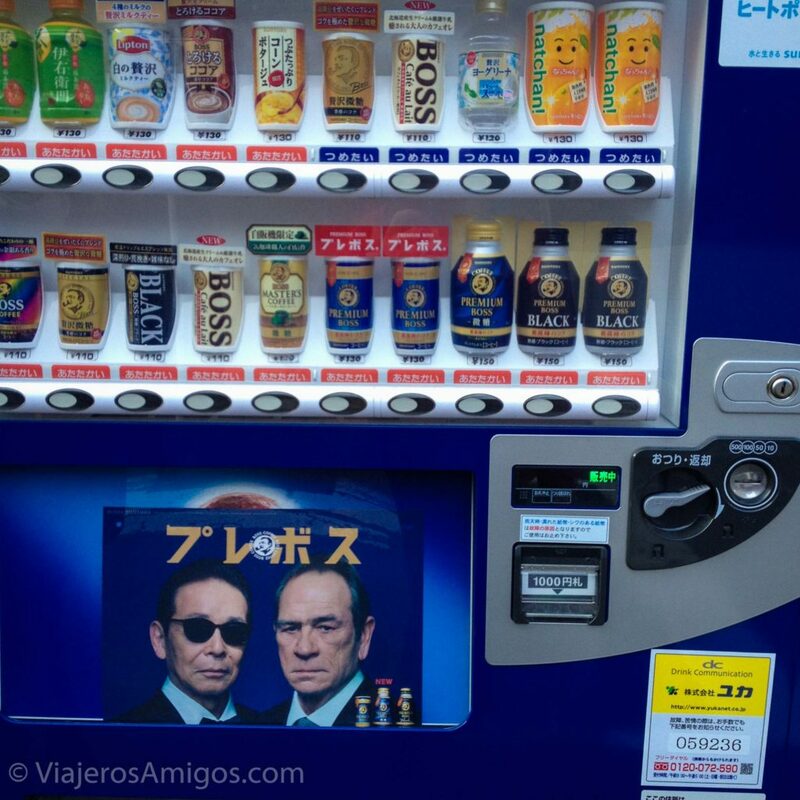 Vending machines are a big industry in Japan. They are located on seemingly every street corner in the cities. 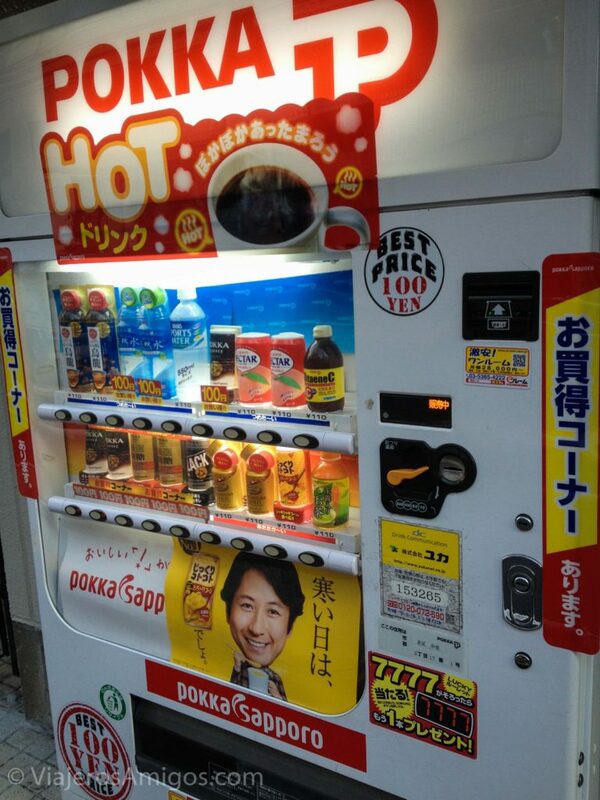 Unlike American vending machines that are loaded with soda and water, the ones in Japan have coffee (hot or cold), green tea, roasted tea, some sort of gatoride-like water, canned corn (yes you read that correctly), and my absolute favorite, Royal Milk Tea! I must have purchased a can or bottle of royal milk tea five times a day. It was just the right level of sweet and creamy. It’s a very soothing beverage, and just adding milk to black tea cannot compare. I’ve spent the last two years trying to find some that comes close in Asian grocery stores in the United States, and none of them come close. 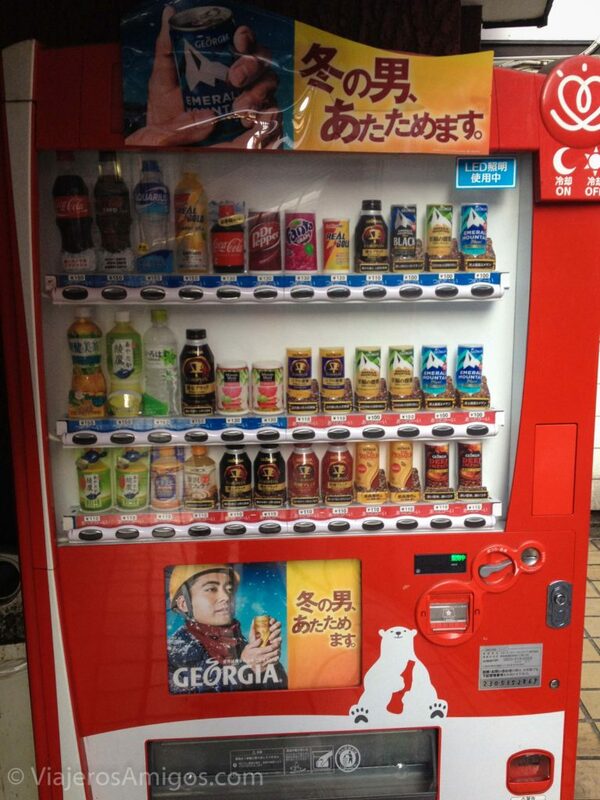 Japanese cities have tons of convenience stores. The major ones you are likely to see are 7-Eleven and Family Mart. They’re not like American convenience stores. If you want to grab lunch, everything will be fresh. You can get a hot soup that you know hasn’t been sitting untouched for 3 days. You can order from a large selection of ramen noodles of high quality. There’s also snacks of course! Since most people stop in here every day for a bite, the selection covers the whole gamut of meals. Two of my favorite things to order at these stores, and I made sure to stock up on before long train rides, were Onigiri and Inarizushi. Onigiri are these triangular “rice balls” stuffed with different ingredients. My main go-to was the tuna/mayo one, but there’s a pretty good selection for you to choose from if you can figure out the Japanese labels. They are usually entirely wrapped in Nori (dried paper-like seaweed) and rarely cost more than ¥100-200 ($1-2 USD). Inarizushi is this nice little refreshing snack that is essentially a sweetened pouch of fried tofu stuffed with white rice and served cold. It doesn’t sound all that impressive but it hit the right spot. 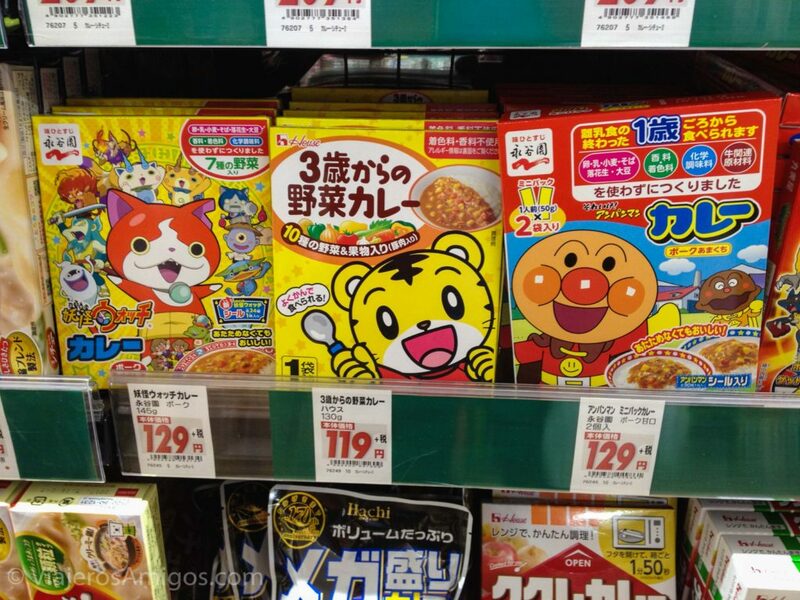 For some other recommendations of things to check out at a Japanese convenience store, check out this blog post. 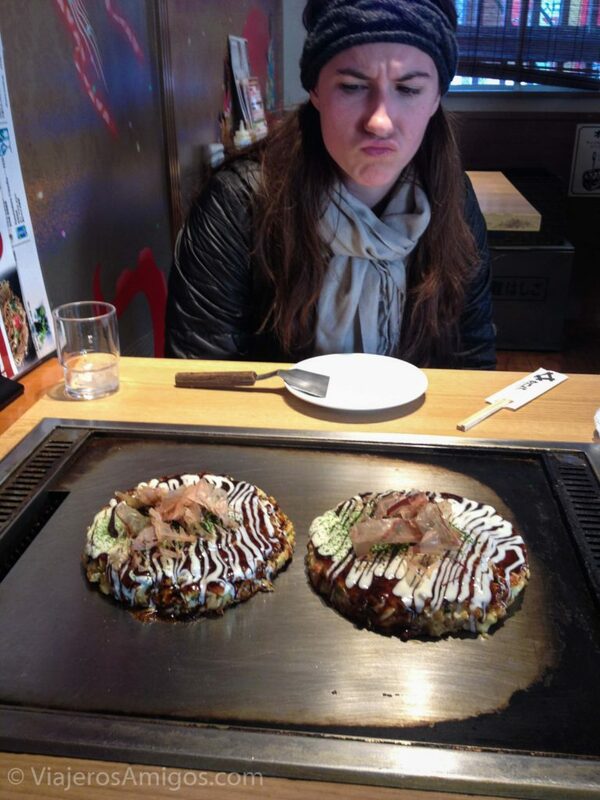 Okonomiyaki, “grilled as you like it,” is a sort of cabbage pancake. We had never heard of it until our friend recommended we try some when we went to Osaka. 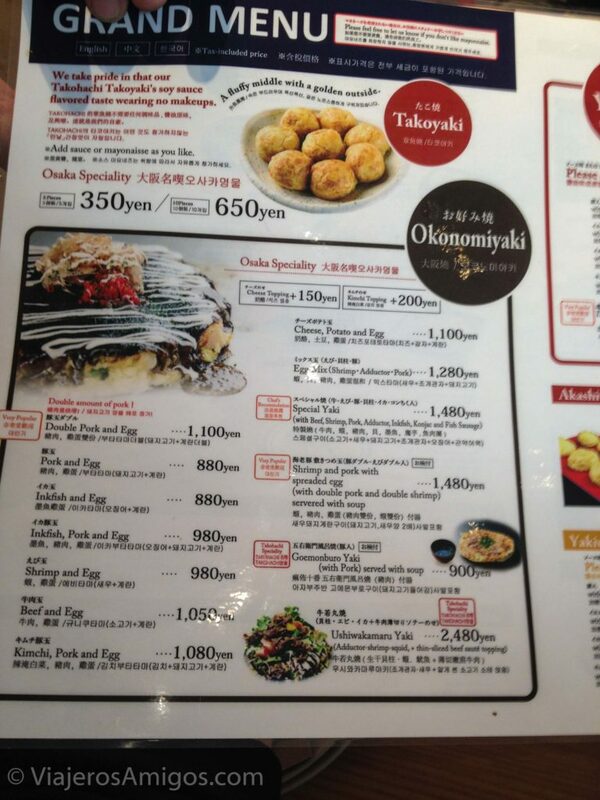 Your sit at a griddle, usually built into your table, and order some okonomiyaki of your choosing. They will bring out batter and pour out a massive circle onto the griddle for you to let cook as long as you like. There will be some things you can add in at your fancy. Two of the common sauces to top it with are a sort of sweet Worcestershire sauce and a type of mayonnaise. Personally, I didn’t like it, but I can see why the event of going to one of these establishments is a fun social activity. 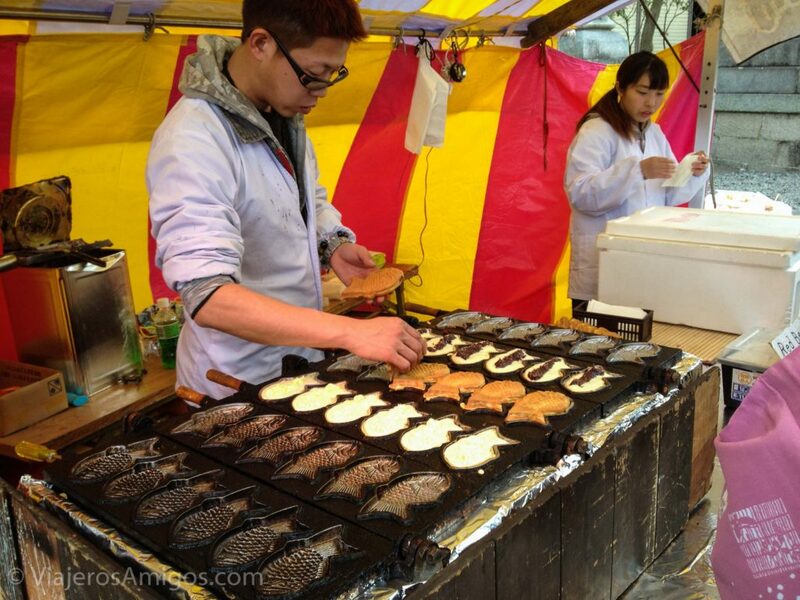 Sold on the streets, taiyaki is this delicious stuffed pastry that is shaped like a fish for some reason. Three of the common fillings are mung beans (yuck! ), chocolate, or custard. I ordered custard every time and each bite was heaven. While sushi rolls aren’t really a thing over there, regular sushi and sashimi are pretty easy to find. In fact, there are these places that basically have a conveyor belt of plates with sushi/sashimi that you pick out and pay for as you eat. What a wonderful idea! 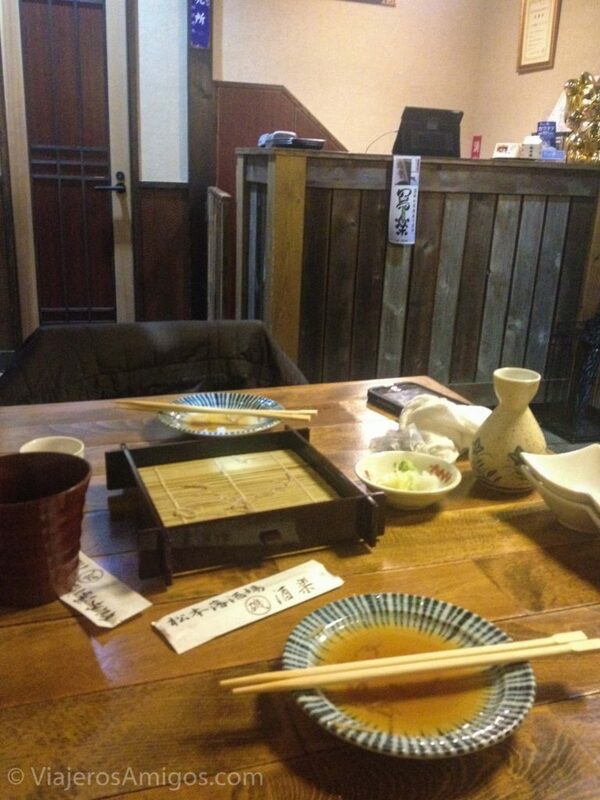 We ate some Yakisoba (fried soba noodles) at some place that ONLY served plain soba noodles in Tokyo. There was also the cold soba noodles we tried in a place in Matsumoto that had no Roman letters or numerals on their menus so we had a difficult time knowing what we were ordering. Cold soba noodles are not enjoyable. I don’t recommend them. Where we had the cold noodles. True to Western impressions of Asian cuisine, white rice comes with every meal. I never ate too much rice before this trip, but I came home and bought a rice cooker within two weeks so I could keep making more! By far, my favorite classic Japanese meal to eat in Japan was the Udon noodles in soup. The first time I ate some was at the massive Shinjuku station where I was able to pick out the ingredients for my bowl, and dispense the soup broth out of a machine at my leisure. The broth machine refills were free so I got my money’s worth. The second time was after walking around in the cold, pouring rain in Kyoto. We ducked inside a restaurant to warm up and were given gigantic bowls of udon soup. It was the perfect thing to eat to warm up. Japan has a surprising number of restaurants focused on European cuisine. They don’t necessarily get the food right, but I think the exotic quality of European countries is what makes them attractive. There are Italian flags on restaurants throughout Tokyo. Individually wrapped Belgian waffles are sold everywhere. 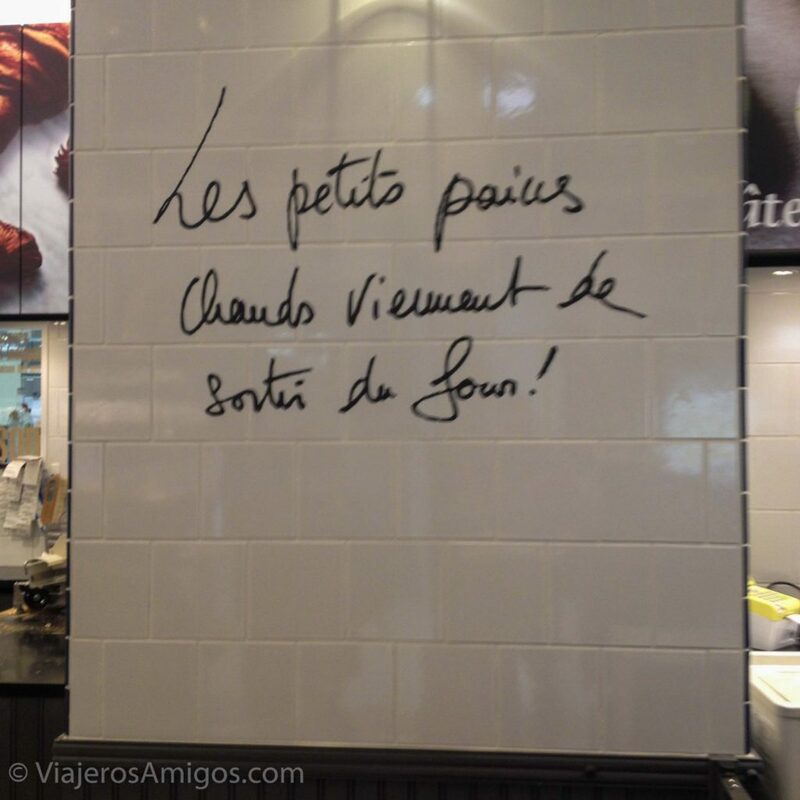 French restaurants have an especially strong presence there. 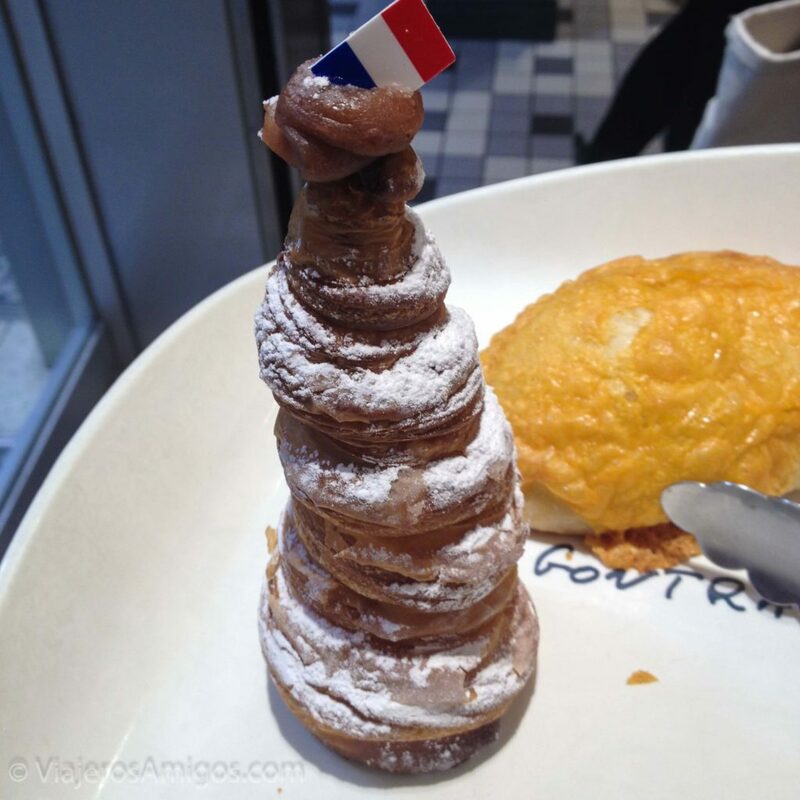 What we saw throughout our trip were creperies and French pastry restaurants. They were pretty good, but not something we expected to eat at in Japan. Recently I read in the news that France is idealized in Japan so much to the point that the extreme culture shock they experience upon visiting France has it’s own name, “Paris Syndrome”. McDonalds was a fun visit while we were there. There are definitely different things on the menu catering to the country’s cuisine. 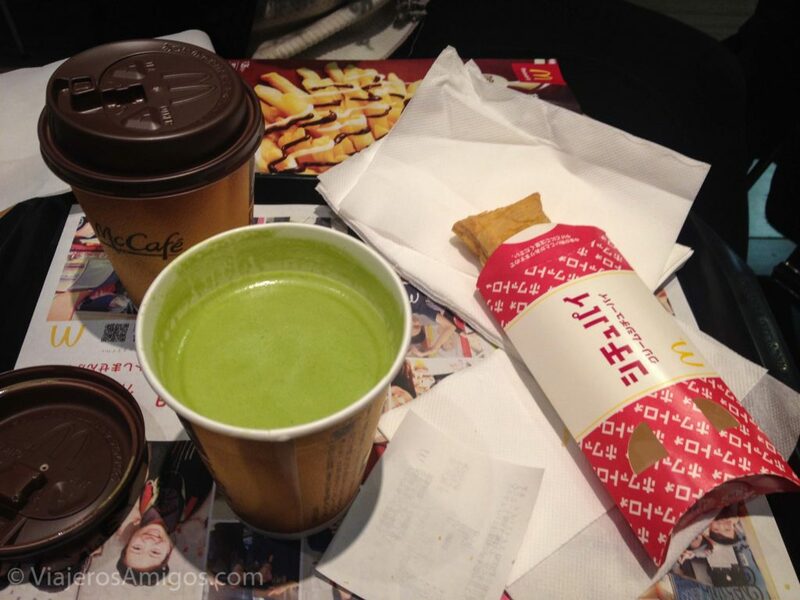 We had to try the matcha green tea latte and chocolate/vanilla drizzled French fries that were only available in Japan. While I ate like I’ve never eaten before, there were some foods noticeably absent in the country. Outside of rice and noodles, Japanese food is pretty low on carbs. The only bread we ever saw was in the aforementioned French pastry shop. I never through I ate a lot of carbs in the United States, but I had really strong cravings for bread by the end of our ten-day trip. Cheese isn’t really a thing in Japan. Western diets have lead to an unnatural tolerance for lactose that most people in the world do not have. As a result, Japanese cuisine doesn’t really incorporate cheese into it, nor would it taste particularly good with it. I would say my love of cheese borders on addiction. I can’t remember a day where I haven’t eaten cheese in some way or another. That is, except for during my trip to Japan. The best I could find in large grocery stores were tiny 1-inch wrapped spreadable cheese. It wasn’t good. If you’re a lover of cheese, brace yourselves for the unfortunate absence of it. 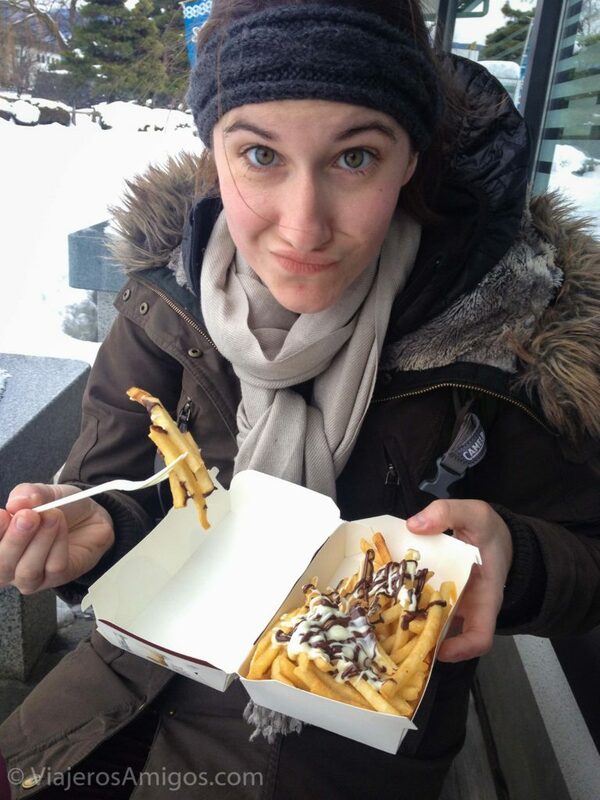 It’s okay though because you’ll be blown away by everything you eat in this wonderful country!